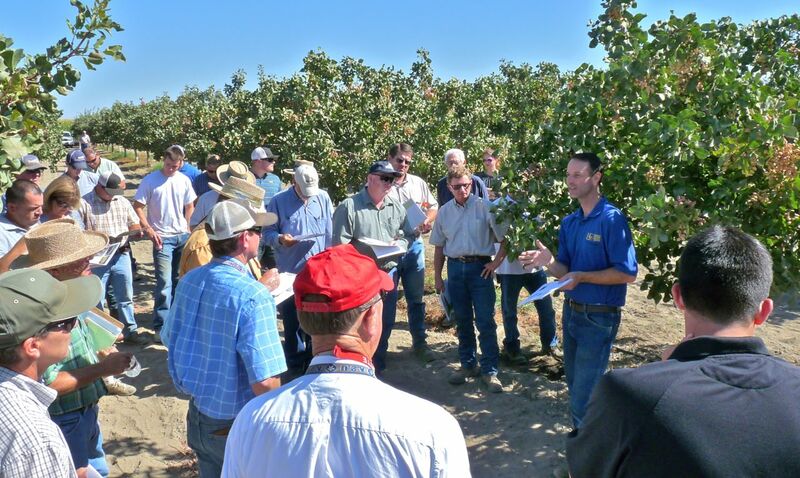 Today, pistachio growers, PCA and others gathered in a Tulare County Pistachio orchard owned by Dennis Burner who is cooperating in a Gill’s mealybug control trial with UC Farm Advisors. 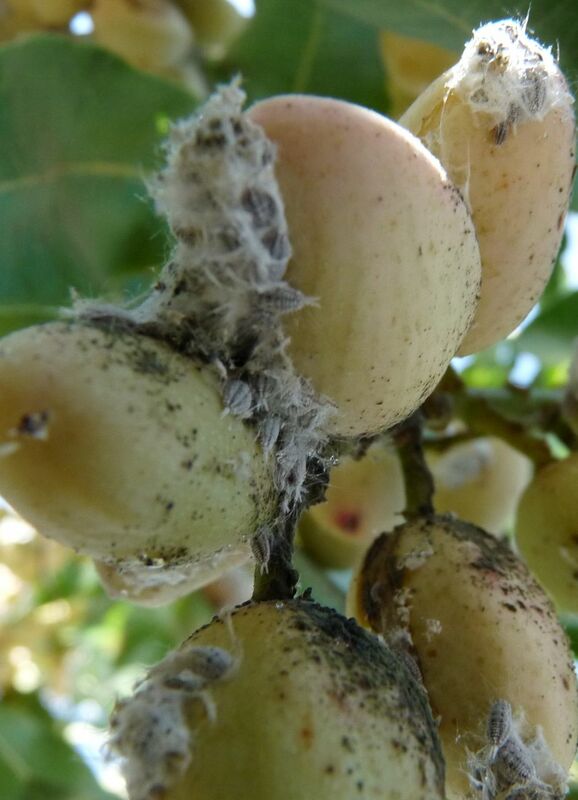 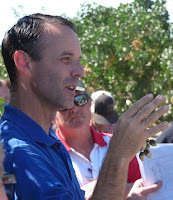 Attendees saw mealybug pressure on trees and heard about the best time to treat for the pest. Causing a sooty mold mess.